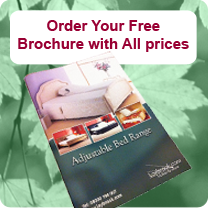 Delivery is FREE and generally between 14 and 21 days from ordering - if your bed is a special size it probably will take the 21 days but is still free. Your bed is set up for you by our trained engineers and you are given a full explanation / demonstration on how the product works. 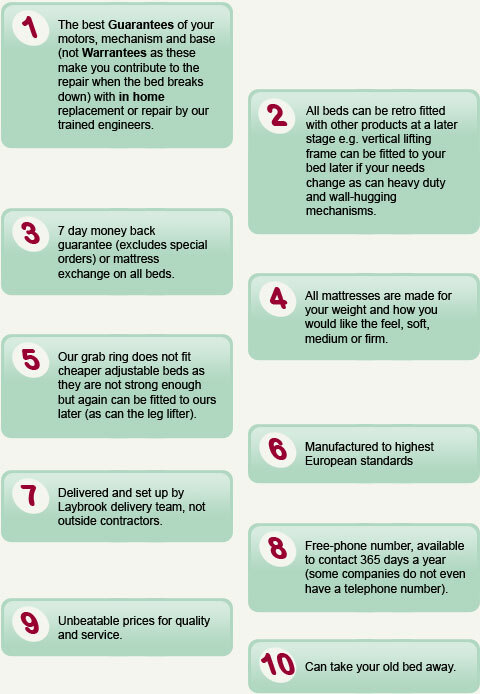 We do not leave it flat packed for you to set up like most of our competitors and with unrealistic money back guarantees where you have to keep the packaging for up to 60 days. THERE IS NO LONGER A CHARGE TO PICK UP THE BED IF YOU ARE DIS-SATISFIED. We only sell high quality products and after years of talking to occupational therapists this has enabled us to make sure if your medical needs change we are here to help and you are not stuck with a product that does not suit your needs.